Ever notice, that no matter what you package in Visual Studio 2010, even if it is a no-code solution? See the output of a build from a CustomAction below. There is a simple solution to this. 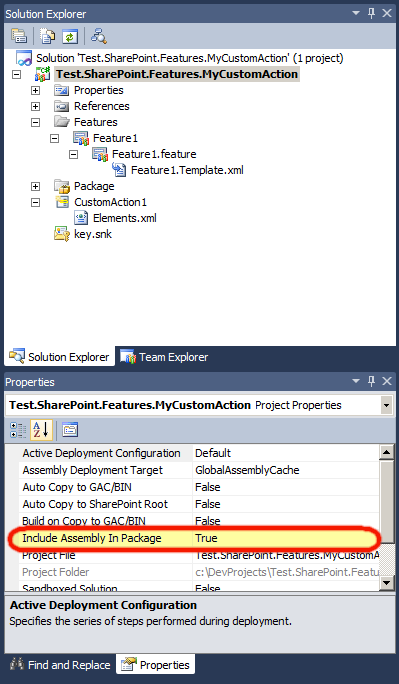 Click on your project within the Solution Explorer in Visual Studio. And then below, or, wherever you have your Properties window, just change Include Assembly in Package to false. Then go ahead and re-package your solution. That was easy, eh?